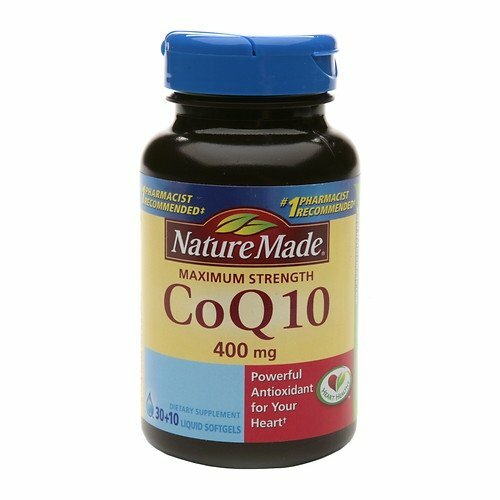 Nature Made® Maximum Strength Co Q 10 400 mg Dietary Supplement. #1 pharmacist recommended. Powerful antioxidant for your heart*. 30+10 liquid softgels. Heart Healthy™.